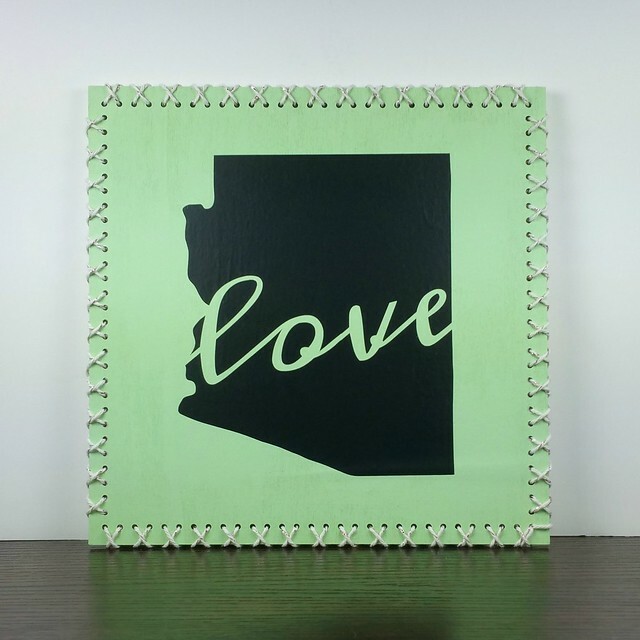 I painted the square stitch blank with acrylic paint first, then used my Silhouette to design and cut an acrylic shape of Arizona. Every time I use my Silhouette to cut vinyl (it's only been a few times so far), I'm like, Oooooh, why haven't I used this more?! After applying the vinyl shape, I stitched a simple border with Rose Gold Metallic Divine Twine (it was closest color to copper, and Arizona is the Copper State, after all).